Attentive, Affordable, Expert Property Management for the Greater Metro Phoenix area, Ashford Management Services is locally owned and operated, A plus rated with the BBB and has been doing business in Arizona since 1997. We specialize in attention to detail and communication. Our no hassle contract and new tenant guarantee are a must have for the Arizona Single Family, Townhome or Condo investor. If you are looking for high integrity at affordable prices, look no further! Ashford manages your investment like it’s our own. Click on the Getting Started tab above to get the process started or try our LiveChat option for immediate access to a property management specialist. Ashford is one of the top 10 management companies in Phoenix, Arizona. Are you looking for an experienced, reasonably priced, property manager for a rental or investment property in Metro Phoenix? We understand there are many options for Property Management in Phoenix. Find out what makes Ashford different. Having the right property manager can make all of the difference for your rental home or investment. Ashford offers HIGH QUALITY, highly professional property management services. Our property managers are experienced, hands-on, communicative and diligent. We work to maximize income and minimize expenses. Please consider the following as you make your decision to hire a rental property management company. 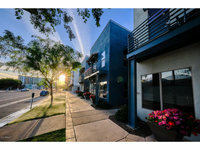 Ashford has provided property mgmt services in Metro Phoenix since 1997. We understand the nuances of day-to-day AZ rental management. Ashford is locally owned and operated. We focus 100% of our time on the expert property management of your rental home or investment. We take the time, we have a proven track record, we make an effort, we focus on cash flow! Ashford is proud to be among the top 10 property management companies in Phoenix Az. Over 20 years in Arizona Property Management! Locally Owned and Operated since 1997! Affordable easy to understand flat fee property management and leasing services. The personal touch----We accompany every tenant showing! Zero property management fees while your property is vacant. Our operation is streamlined which means we can pass those savings along to you! No, Start Up, Direct Deposit, Administrative, Maintenance Markup, Hidden, or Junk Fees. No cost direct deposit for our owners. Easy to navigate owner & tenant portals - Free online rental payments and service requests for tenants- efficient and tracks the status of your tenant's rental payment and more. ADOR sales tax compliance! Click here to learn more.. Important Note: Ashford does not charge "predatory" fees to its tenants which improves your property's exposure and increases the likelihood of a fast rental to a highly qualified tenant. Click here to read more.. Proudly offering Military and First Responder discounts - active or retired - Thank you for your service! Personalized & responsive customer service – portfolio based rental management. Self-Directed IRA and Investor Rates.